Our volunteers are the heart and soul of Family House. They arrive, ready to work, doing a wide range of tasks - tasks that allow the house to run smoothly every day of the year. One such dedicated volunteer is Rosemary Pierce. After a long career as a surgical nurse, she moved to Chapel Hill with her husband to retire in 2001. Since their move, Rosemary has volunteered for a number of organizations in town. For the past two years, we’ve been fortunate to have her as one of our regular volunteers. 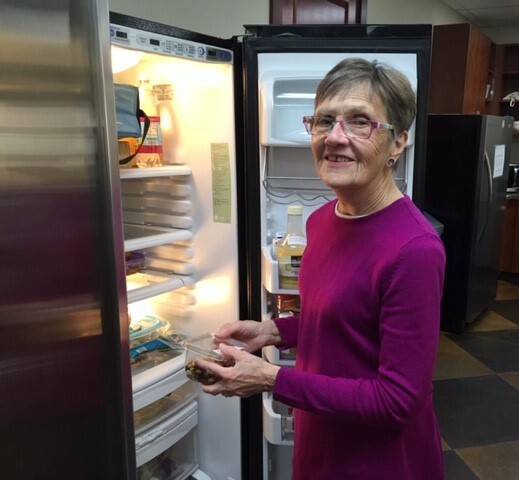 Each week she spends a few hours in the kitchen, emptying and filling the dishwashers, checking the food in the refrigerators, making sure that any old food is disposed of, wiping down the countertops and tables, and other tasks. While Rosemary is working, you can often find her engaged in lively conversations with our guests. We know that jovial, caring conversations can become a vital and significant part of a patient’s healing, while providing tremendous emotional support for their caretaker. 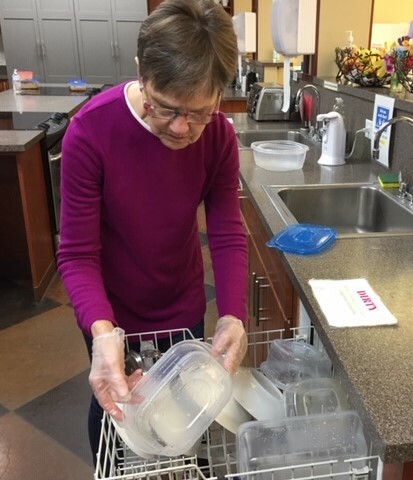 Rosemary tells us that Family House is one of her favorite places to volunteer. “I look forward to coming here each week. I feel useful. People are really kind to me.” We look forward to seeing her each week and thank her from the bottom of our hearts for all that she does for others.